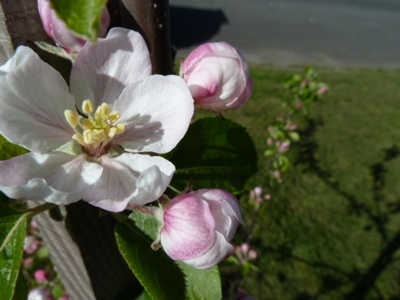 My Home and Garden: My first real apple blossoms. Aren't they beautiful. 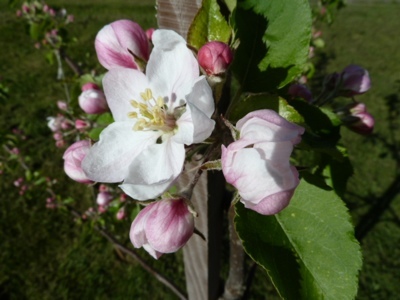 My first real apple blossoms. Aren't they beautiful. Jonagold apple blossoms. Nuff said. It's almost a shame that apple trees don't bloom throughout the Summer. What beauties! We're still waiting for our apple blossom. Yep, gorgeous. Faint pink and white.